Dr Jackie Chua is a graduate of the University of Queensland. She obtained her DRCOG in the United Kingdom before returning to Queensland for her speciality training in Obstetrics in Gynaecology. She became a Fellow of the Royal College of Australian and New Zealand Obstetrics and Gynaecology in 2005. She subsequently developed an interest in ultrasound and trained in the sub speciality for the Certificate in Obstetrics and Gynaecology Ultrasound in Medicine. She joined as a Director of QUFW in 2008. She is a Senior SMO at the Mater Mothers Hospital in the Centre for Maternal Fetal Medicine. 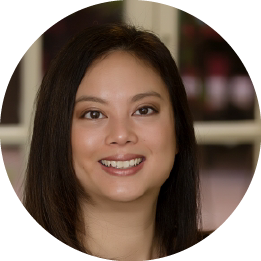 Dr Chua is a member of the Australian Society of Ultrasound in Medicine, International Society of Ultrasound in Obstetrics and Gynaecology and the Australia Association of Obstetrical and Gynaecological Ultrasonologists. She is the only Obstetrician Gynaecologist with subspecialisation in COGU practicing in Queensland. Her special interests include fertility and endometriosis.